Built at the turn of the 19th Century, originally stood as a stable. Converted to a saloon in the early 1900's, it was also known as a "social club", frequented by ladies of the evening. During the last 40 years it has served as the Twin Cities Rescue Mission, until restored, 1981-1982. 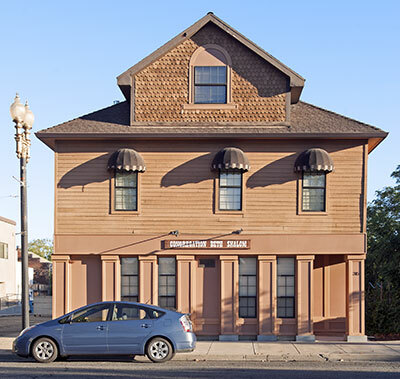 The Mission Building is now home to Yuba-Sutter Congregation Beth Shalom.